Dominica is the largest and northernmost of the Windward Islands of the Lesser Antilles. Rising out of the Atlantic Ocean on its east coast and the Caribbean Sea on its west coast, this lush, tropical paradise is part of a group of volcanic islands that form the eastern boundary of the Caribbean Sea. 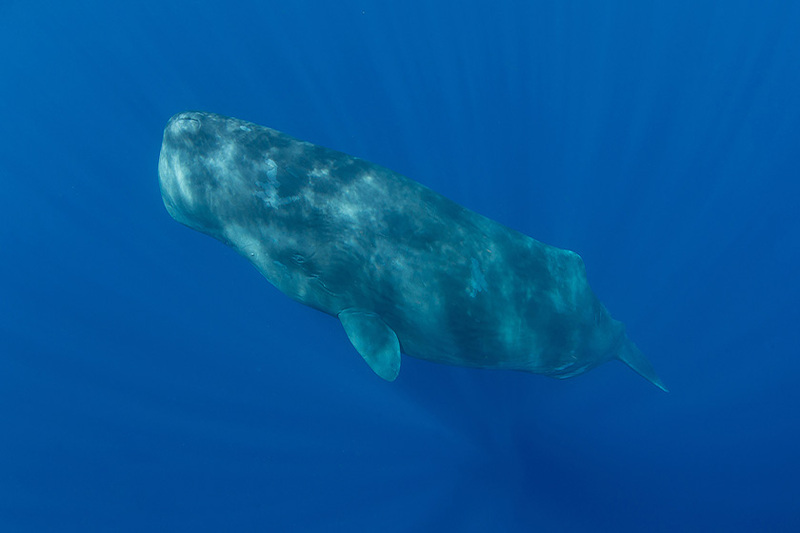 The deep water of the Caribbean Sea offshore of Dominica is home to an abundance of cetaceans including the best-studied sperm whale population in the world. 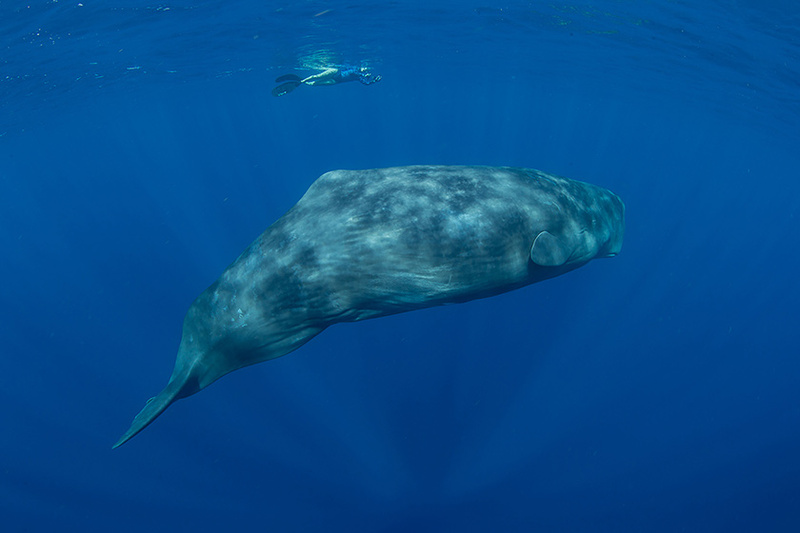 Nearly 200 resident sperm whales live year-round in clear, temperate, azure water ideal for in-water viewing and phenomenal encounters. The plethora of pristine and interesting scenery within its well preserved ecosystem makes Dominica a world-class destination for active travelers who enjoy nature and outdoor adventures. Visitors can hike, swim, trek to waterfalls, luxuriate in hot springs, enjoy amazing scuba diving, and absorb the beauty of daily doses of rainbows. 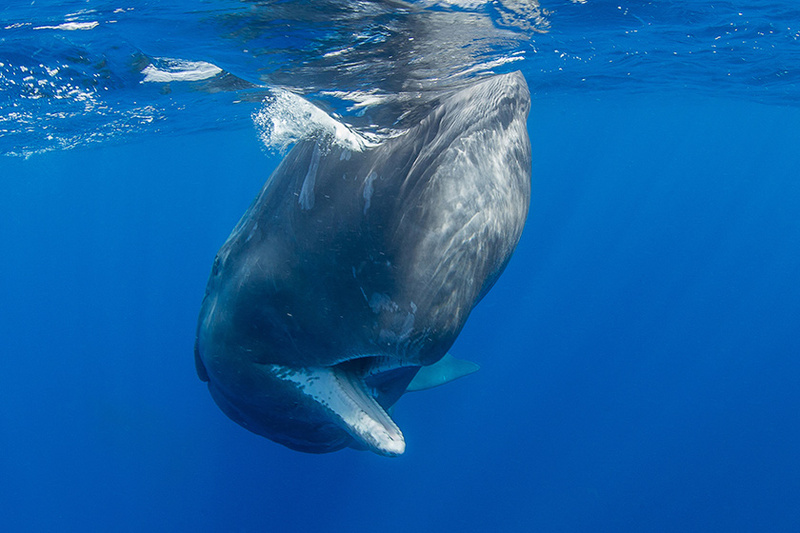 The highlight for marine mammal enthusiasts is the opportunity to meet and spend time in the water with sperm whales. We will be staying in the heart of the island at the historic Fort Young Hotel in the capital city of Roseau. This oceanfront property is situated on a hill overlooking the Caribbean Sea and was the site of Dominica’s first fort built in 1699. Over the centuries the site has served as a fort, the central police station, and is now the location of Dominica’s best known luxury hotel. The hotel is nestled in downtown Roseau within short walking distance to the main outdoor marketplace and local restaurants. 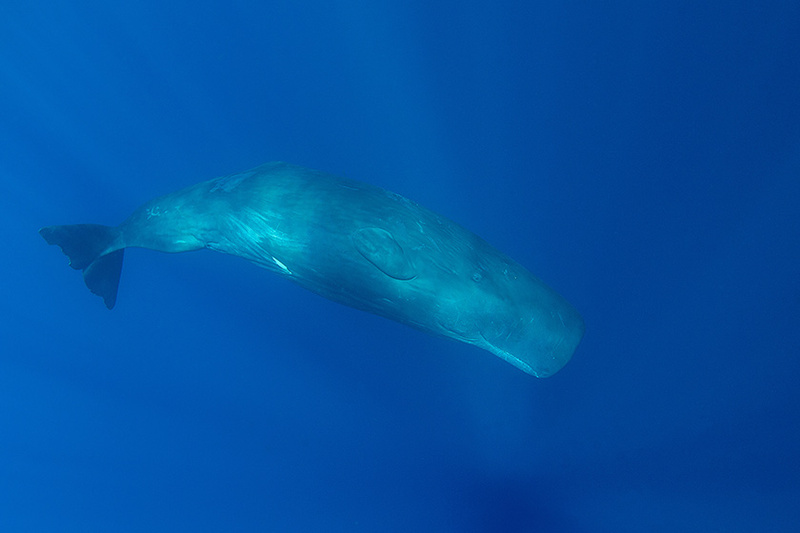 Sperm whales, known by scientists as Physeter macrocephalus, are the largest odontocetes or toothed-whales in the world. They are distributed throughout all of the oceans on Earth but are primarily found in the temperate and tropical waters of the Atlantic and Pacific Oceans. 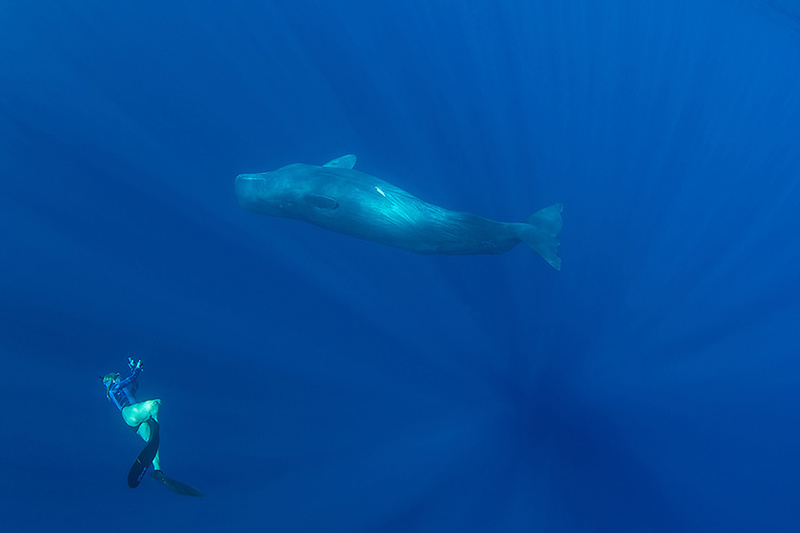 The western coast of Dominica is inhabited by a large and extensively documented group of resident sperm whales. Each morning we will be met by our boat at Fort Young’s private jetty to venture out to meet, observe and swim with sperm whales. The boat will pick us up at 7:30 a.m. and will return to the dock at 3:30 p.m.
Once aboard we will motor along the western coast of the island looking for spouts and using acoustic monitoring to locate the whales. Once we find them we will observe their behavior as the boat maneuvers into position for us to have a passive in-water whale encounter. A 7-day expedition costs (2019) $6995.00, (2020) $7295.00 per person. Includes boat & guide fees, hotel accommodations (double occupancy), transfers, drinks and snacks during your day on the water.